Meet the Pilot. She was top gun in Iraq but now struggles with moral injuries in the Chair Force. 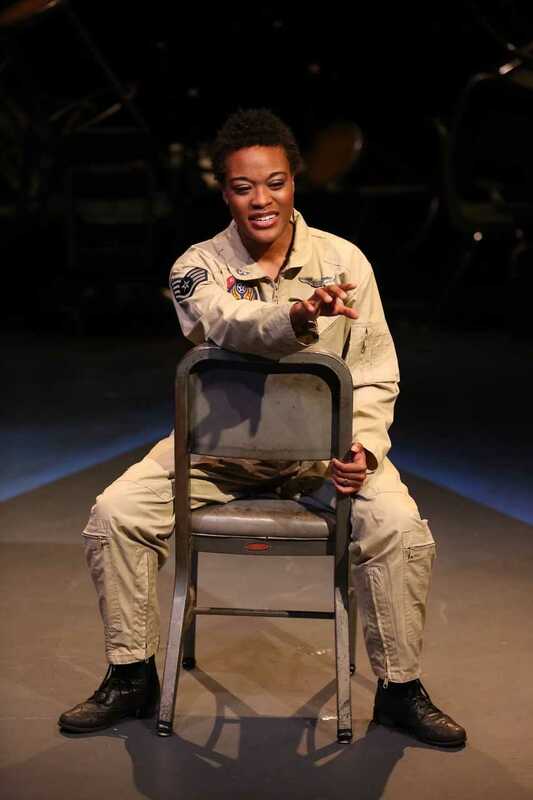 Cindy Rosenthal directs Maya Carter (Period Sisters, HERE; Hedda Gabler, Ophelia Theatre Group) who brings a g-force reckoning to the stage in George Brant’s searing solo work about a female drone pilot.